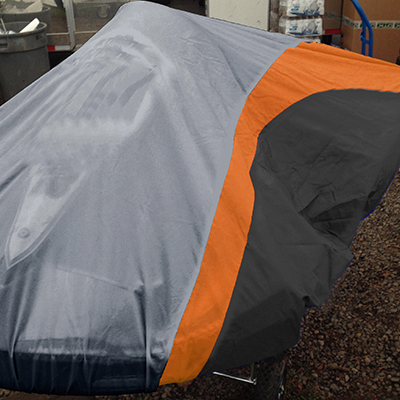 Design Your Own Go Kart Covers - The highest quality, largest Go Kart Covers on the market! If you enjoy motorsports, karting may be a great hobby for you. Karting is open to all ages, from children to adults, and is more affordable than other motorsports. So how do you get started? Go to the races. This will help you understand the types of races and karts, the rules and regulations of your local track and if karting is something you want to pursue. Whether you decide to start your own racing team or not, going to the races is still a family friendly outing. The type of racing you decide to participate in will affect the type of kart you need. You can choose between oval racing, sprint racing or road racing. All require different types of karts and come with different regulations. Once you decide on the type of racing you want to participate in you can get started in racing. Choose your kart. The first decision is if you want to buy a new or used kart. Although used karts can be initially more cost-friendly, they can also come with a lot of needed repairs. It is suggested that you only buy a used kart if you have a trusted advisor to guide you. Get your gear. Some other items you may need when kart racing are a helmet, racing suit or jacket, spare parts, fuel and a kart cover to hide your kart from the competition. Practice makes perfect. Find out your local track’s practice times so you can work on your driving skills and make sure your kart is ready for your first race. It is always important to be safe and comfortable in your kart so practicing and being aware of all race rules will prepare you for your first and every race.